Artist comment: This painting was commissioned by the Legendary Blues Cruise which offers two fully chartered cruises a year, one to the Mexican Riviera and one to the Eastern Carribean. 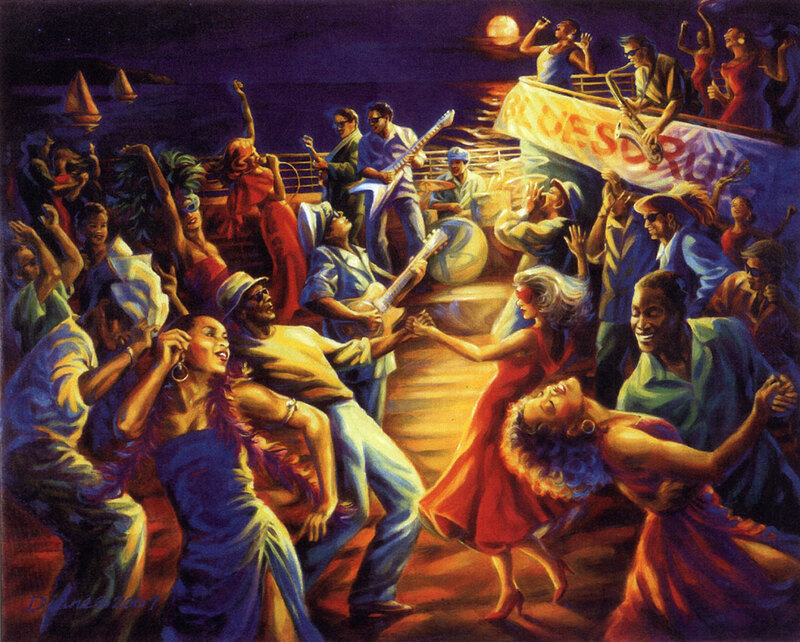 The theme of the painting reflects the festive atmosphere of the cruise, complete with musicians and the crowd under the moonlit sky. This painting is the official poster for the October 2007 Mexican Riviera cruise. To find out more about Legendary Blues Cruise, visit their website at www.bluescruise.com.